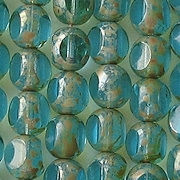 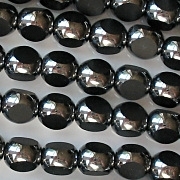 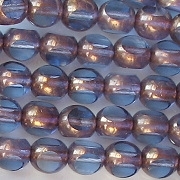 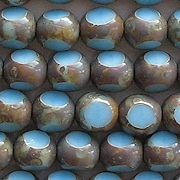 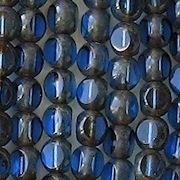 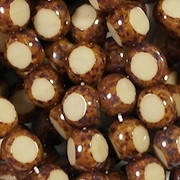 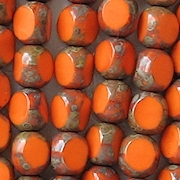 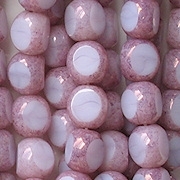 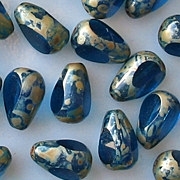 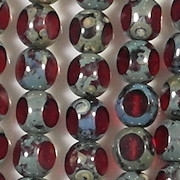 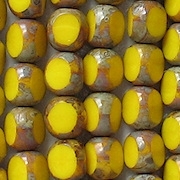 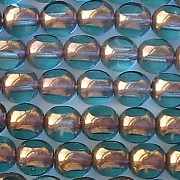 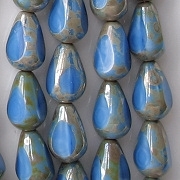 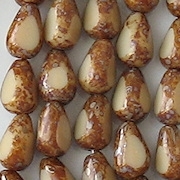 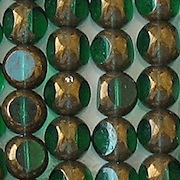 These are round beads with three facets cut around the middle. 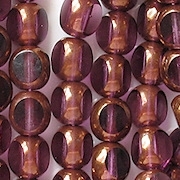 In this category I am also including 4-cut and 5-cut beads. 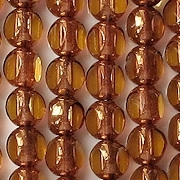 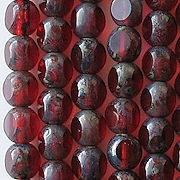 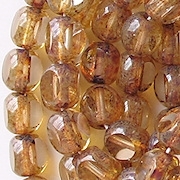 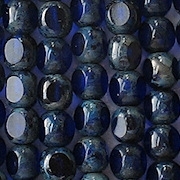 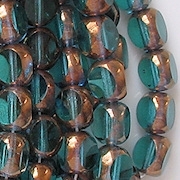 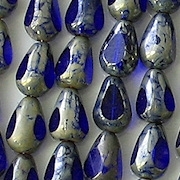 Cut beads are fire-polished just like regular faceted beads, and that means that the facets are not absolutely perfect. 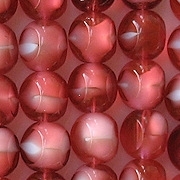 Since the facets on 3-cut beads are larger than on other faceted beads, the defective facets may be more apparent to anyone who looks closely.